I’ve been frequenting your site because it has been really helpful in building my blog. I just can’t seem to verify it thru google search console. I tried all the alternatives listed in this page. What am I doing wrong? HELP! Do you see an error when trying to verify your blog? Make sure that you have added the correct address of your website in Google Search Console. Google treats https and http, www and non-www URLs differently. Thank you! Thank you! I have finally verified my site. awesome tips. Thanks very much – your step-by-step description was so easy to follow & it worked a treat! it keeps telling me “we were unable to verify your property” Any thoughts on what i am doing wrong? thanks! I keep getting an error when I follow the tips in this video. It says – “The Google XML Sitemaps plugin might cause issues when used in conjunction with Yoast SEO.” Any idea what I should do now? I used the insert headers footers and copied and pasted the code over and it still wouldn’t verify the site. 2. New platform, theme, and wordpress are still under construction – could this hinder the tag from being found? 3. Google is stating verification failed, unable to connect to the server – Why is server not allowing connection? 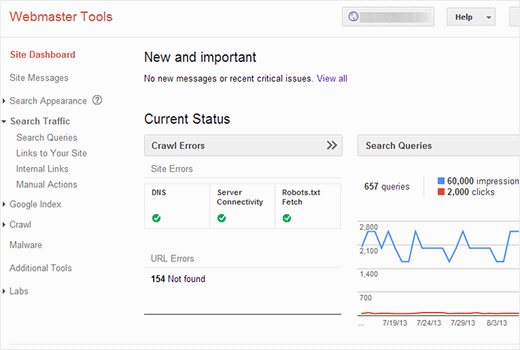 If your website is in maintenance mode and not publicly accessible, then Google webmaster tools cannot verify the tag. Thank you! This is the issue I was having, so I’m glad someone asked and you responded! Excellent video. I struggled for a couple of hours before I found your short, informative, step by step instruction. Bravo. if we have verified our analytics account with insert header and footer plugin, how to verify with web masters ?? What about setting up different versions of the website name on google’s search console? Google considers them different websites. 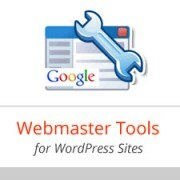 You will need to pick one to submit to Google webmaster tools. Thank you for an excellent tutorial! After struggling to figure the domain verification process for some time, this tutorial helped me to resolve the issue in minutes! Thank you! I am trying to verify the https versions of my site via ftp but cannot find those versions to upload the HTML verification file to. Any ideas where to find them? none of those methods worked for my website, I have followed the steps in the video and but it says it can not find the verification meta tag. Also uploading the html file did not work. What should I do now? Thank you very much for sharing such an important info especially the “Insert Headers and Footers Plugin” which is going to help me a lot. Is it OK to uninstall and delete “Insert Headers and Footers Plugin” after including meta tag in the header? You will need to keep the plugin installed. Uninstalling the plugin will disable the code you added into header or footer using the plugin’s settings. This is really helpful and I would hope my blog gets visitors too. I was going around and around trying to get this to work and couldn’t. After submit xml I got a messege “Improve the search presence of https://example.com“. There are a option named “Add all your website versions”. Do you have any instruction about this? I have removed a plugin of wpbeginners from my WordPress site mistakenly I want to add that plugin again but It says that “Installation failed: Destination folder already exists” what to at this stage ? You will need to first connect to your website using File Manager in cPanel or an FTP client. Next, you need to locate /wp-content/plugins/ folder. Inside it you will need to locate the plugin you are trying to install and then delete it. After that you will be able to install the plugin normally from your WordPress admin area. thanks a lot, your article was very informative, easily instructed and understandable. i appreciate your help wordpress. Can NOT thank you enough for this! Have been struggling all day trying to find a simple fix and this was so easy!!! The tutorial is really helpful and much easy to understand. Hi, The tutorial is really nice. You can continue using that plugin. However, if you want to use Yoast SEO to submit sitemaps, then you should stop using your old plugin. After agonizing over “countless” foreign instructions on the web on how to verify as owner of my website, I stumbled across this tutorial. It took me a few minutes to understand what I was typing in my search engine to add a new plug-in, but after that, I was finally able to verify my Blog. The only suggestion I could make is that it the visuals could be a little more clearer. I am SO grateful for WP Beginner. This tutorial helped me immensely. Thanks! Thank you so much. I have been trying so long to verify my website and I couldn’t until I visited your website. Thank you again. Thank you so much! I was really stumped, as my several attempts were not working. Thanks to your video I got the green check mark on the first try! i did verified my site long before but have not added meta values to the webmaster tools. Can you please help me in finding the meta values. Where can get it with verifying again? Thank you for uploading and sharing this info. for me it’s very helpfull as a starter of wordpress sites. Without this kind of help it makes it mor difficult. Again thank you keep up the good job. I am setting up Yoast Seo. I have done the process to add my website to Google Webmaster and it’s works ok. But when I go to put the authorization code to authenticate, it says “no profiles found”. Please, some help will be appreciated. This is wonderful. I have had a site for more than 10 years, paying various consultants thousands of dollars along the way. But no decent SEO. This looks like a way to go. I am stuck at 1 minute 50 seconds of the video. Then the voice goes too fast and the picture is too fuzzy for me to follow. I have inserted the plugin but do not know how to capture the “metadata” that goes on a subsequent page. Can someone help? i am actually facing a problem. I am helping my cousin with his website. However, when i search for “brboss”, his website does not show up. Thank you.. The video really helped me setup my site. Because I didn’t upload a code, do I still need to do so? Or have they got one from Bluehost? Yes you need to add the verification code again. just to say a BIIIIIIIG THANK YOU! I first went down the route of FTC, but had no idea what I was doing, still don’t. Your video was so simple. Love this plugin. I got failed messages at first, but I think I must’ve put in my URL wrong somehow. When I started from scratch, it worked a treat. I am now verified and very happy. I followed all the steps and even repeated the process three times, but every time Google Webmaster said that my verification failed. Is there something I can do to fix this? As always very helpful. Once you insert the code into the header, can I deactivate the plugin or does it need to remain active?